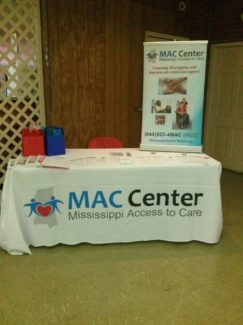 Mississippi Access to Care (MAC) Centers are welcoming and accessible places located across the state where people can obtain unbiased information and assistance in locating services and supports. MAC Centers provide a central source of reliable and objective information about a broad range of programs and services by helping people understand and evaluate the various options available to them regardless of income or eligibility for publicly funded long-term care. MAC Specialists, located in Greenville, provide assistance over the telephone, within a person’s home, or in another convenient location. All assistance is free and confidential. MAC Centers aim to help empower people to make informed choices and to streamline access to services and supports. MAC Centers help older people and people with disabilities- along with their families and representatives – secure needed services or benefits, live with dignity and security, and achieve maximum independence and quality of life.